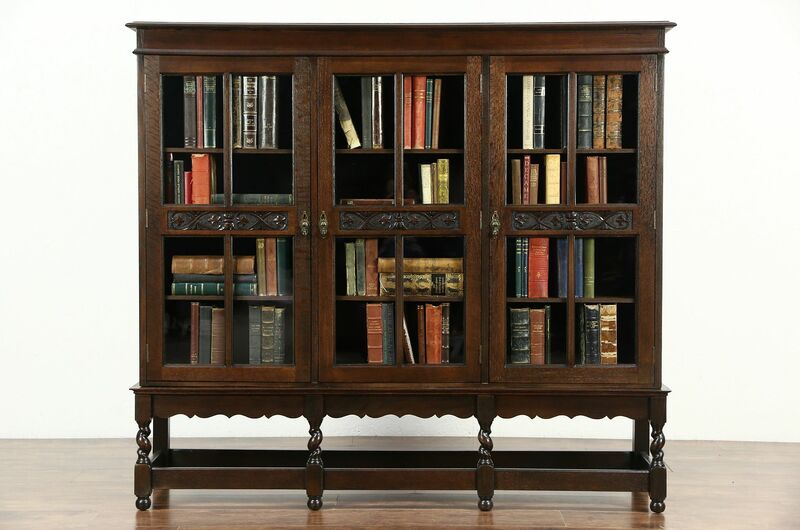 A triple bookcase from about 1915 was carved of solid quarter sawn oak with spiral twist legs and fine detailing. The restored deep finish is in excellent condition on this American made antique library furniture. Doors have wavy glass panes, three separate banks of shelves are adjustable. Hardware is original, locks have no keys. The base is a separate piece for easier moving. Dimensions are 5' wide, 14" deep and 54" tall.